My little boy's grandma rarely spend time out sharing with her family despite her lovely and big garden. She lives alone with her husband as their kids flew from home years ago. They have a big four level penthouse swimming pool included, and her garden is one of the places which invite to relax and have a chat, not for her of course! "She prefers to stay in the kitchen." During the summer she confines herself to the kitchen with the excuse to feed the family who were visiting to enjoy them. The reason of her behaviour comes from her phobia to birds or any flying specie. She can not feels anything flying over her head because feels dying and need to run away. Phobia from -Greek meaning "flight or terror" and is an extreme, irrational fear of an animal, object, place or situation that most people will not fear (British Psychological Society). 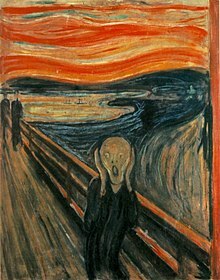 So it is normal that people with phobia avoid the encounter or the situation as they feel anxious and extremely feared. Phobias can make people develop panic attack and chronic anxiety. There are two types of phobias: specific and complex. Specific phobia involves simple phobia toward a single object, situation or circumstance. For example flying, spiders, blood, medical intervention, dentist, snakes or any environment change such as storm. 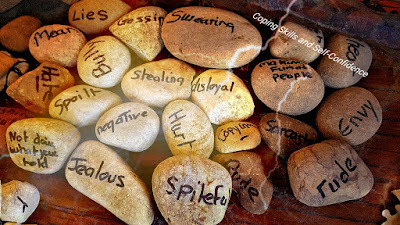 Most of the times individuals end in a feared situation such as vomiting or shocking witch make them feel worse aggravating their issues. 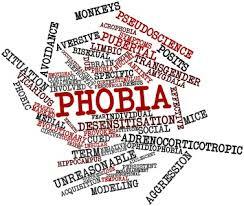 Complex phobia involve more pressure and extreme anxiety such as Agoraphobia and Social Phobias. Agoraphobias include fear of open spaces, traveling in public transports alone, crowds, entering shops etc. Agoraphobia use to manifests with panic attack and panic disorder. The individual feels anxious as the feelings of being unable to scape to a place of safety such as home increase panic. Social phobia is quite similar to agoraphobias including fearing speaking in public, avoiding social performance or situation, etc. Phobias develops during childhood and most od them disappear by the age of six years old. Also people can develop phobia going through stressful periods of their lives as consequence. According to research around one or two per cent of men and women develops phobia witch is linked to low-self-esteem and fear of criticism. There is not clear reason why people develop anxiety disorder and phobias. It can develops in late childhood, adolescence, or in early adult life following a frightening and traumatic situation or event. It is said that phobias can run in families but still unclear whether this is inherited or learned. Most of the times, people try to cope on their own not seeking help. People develop what is call "safety behaviour" avoiding drawing attention to themselves, or keeping the scape route open. Sometimes the "safety behaviour" is to avoid all situation so they feel like they are safe but they actually help to maintain, and even in some cases worsen the phobia over time. Talking therapy is one the most effective treatments for phobias as medication is prescribed in some cases. Another effective method is self-help. People can develop self -help strategy such as talk groups, and bibliotherapy.